The current incarnation of Paramount Television is the television production division of Paramount Pictures (a unit of Viacom). Its original version is also the second incarnation of the television production company now known as CBS Television Studios (a unit of CBS Corporation). 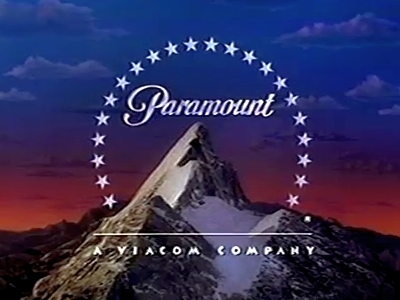 Paramount Pictures had some early involvement in television production during the Golden Age of Television with its ownership of fledgling network the Paramount Television Network (which served as a vehicle for the studio's in-house TV productions, which were distributed to other American stations and some Canadian stations), as well as having an ownership stake in the DuMont Television Network. Also, Paramount was the original owner of Los Angeles station KTLA and also owned Telemount Productions, which produced a few network and syndicated shows in the 1950s. A later attempt by Paramount to launch a TV production unit, Paramount Pictures Television, produced pilots for proposed series which never made it past the pilot stage, including a 1959 TV movie titled Destination Space (which it co-produced with CBS, which also aired that movie). In the mid-1960s, Paramount joined forces with Talent Associates to produce most of the first season of the spy parody sitcom Get Smart (credited on that show as Talent Associates-Paramount), but by 1966, Paramount was nearing bankruptcy and had largely distanced itself from television when it was purchased that year by Gulf+Western. In 1967, Gulf+Western acquired Desilu Productions and its syndication unit, Desilu Sales, from Lucille Ball and made it the TV division of Paramount while keeping the Desilu name for several months until December 29 that year, when Desilu was dissolved and then reincorporated as Paramount Television (PTV) on January 1, 1968 (with Desilu Sales reincorporated as Paramount Television Sales at the same time), marking Paramount's first genuine foray into television production under Gulf+Western ownership. Following the reincorporation, PTV took over production of the shows previously made by Desilu, including The Lucy Show, Star Trek, Mission: Impossible and Mannix. The first show to be produced by PTV from its debut, Here's Lucy (the third long-running sitcom to star Lucille Ball), debuted on September 23, 1968 and was co-produced with Ball's new production company, Lucille Ball Productions, but PTV co-produced only the first season before it sold its stake in the show to Ball after that season. In the fall of 1969, PTV launched two new shows, the family sitcom The Brady Bunch and the romantic comedy anthology Love, American Style. During the 1970s, PTV produced several series that were based on films produced by parent studio Paramount Pictures, including Barefoot in the Park, The Odd Couple (which spawned the animated spinoff The Oddball Couple, co-produced with DePatie-Freleng Enterprises), Petrocelli (based on the 1970 Paramount film The Lawyer) and Serpico. In 1974, Happy Days (which was based on the 1972 Love, American Style episode "Love and the Television Set", later retitled "Love and the Happy Days" in syndication when Happy Days became successful) debuted in mid-season on ABC and became one of PTV's most successful productions, as well as helping elevate ABC to number-one status among the American networks during the 1970s. Happy Days later spun off several series, including the successful Laverne & Shirley and Mork & Mindy, the less successful Joanie Loves Chachi, Out of the Blue and Blansky's Beauties, and Saturday morning animated shows Fonz and the Happy Days Gang and Laverne and Shirley in the Army (billed simply as Laverne & Shirley on-screen). In 1978, a Star Trek sequel series titled Star Trek: Phase II was announced by PTV as the flagship series of a proposed fourth television network owned by Paramount, the Paramount Television Service, but the plans for that network were ultimately scrapped by the studio's board prior to its planned launch at the start of the 1978-79 TV season and Star Trek: Phase II was revamped into a feature film, Star Trek: The Motion Picture, which debuted in theatres on December 7, 1979. PTV later contributed some programs to syndication service Operation Prime Time, including music/dance show Solid Gold. In 1981, the PTV-produced entertainment news program Entertainment Tonight debuted on weeknights in first-run syndication. In 1987, the Star Trek franchise returned to television when Star Trek: The Next Generation debuted in syndication and quickly became a success for PTV, which then focused on other shows for first-run syndication like Friday the 13th: The Series (horror), War of the Worlds (sci-fi, based on the 1953 Paramount movie of the same name), The Arsenio Hall Show (late-night talk) and Hard Copy (tabloid news). In 1989, PTV parent company Gulf+Western was reincorporated as Paramount Communications after the company sold off its non-entertainment assets to focus on its core entertainment and media units. Another syndicated Star Trek series, Star Trek: Deep Space Nine, debuted at mid-season in January 1993. Paramount Communications (including PTV) was purchased by Viacom in 1994, and Viacom's syndication unit, Viacom Enterprises, was folded into Paramount Domestic Television beginning in 1995, while its TV production unit, Viacom Productions, became a division of PTV that year. Also in 1995, Paramount finally realized its plans for its own TV network, the United Paramount Network (UPN, co-owned with Chris-Craft Industries), which PTV began producing shows for upon its launch that January. The first show to air on UPN was Star Trek: Voyager, the first network-based Star Trek series to air since The Original Series' run on NBC. Other shows produced by PTV which aired on UPN included Star Trek: Enterprise, The Sentinel, Seven Days, One on One, Moesha and Girlfriends. Viacom acquired former parent company CBS in 2000, which led to PTV producing more shows to air on CBS (some of which, including JAG, Becker and Nash Bridges, were already in production at the time). Four of the new PTV shows, NCIS (a JAG spinoff), Numb3rs, Criminal Minds and Ghost Whisperer, became hits for CBS following the Viacom acquisition. In 2004, Viacom Productions was folded into PTV, which assumed production of the former VP shows thereafter. On January 3, 2006, Viacom split into two separate companies, with the existing Viacom reincorporating as CBS Corporation while the current Viacom was spun off from it. CBS retained PTV in the split and merged it with CBS Productions, along with their respective syndication units, to form CBS Paramount Television (CPTV) on January 16, 2006, with the shows formerly produced under the PTV banner transitioning to CPTV beginning on May 28, 2006. Criminal Minds and NCIS are the last two network shows originally produced by PTV which are still in production as of 2019. All shows produced by PTV and its predecessors prior to 2006 are now owned by PTV's legal successor, CBS Television Studios, and are distributed by CBS Television Distribution in off-network and first-run syndication. On March 4, 2013, the current Viacom announced the resurrection of PTV as the TV production unit of Paramount Pictures (which Viacom had retained following its spinoff from CBS Corporation). The first series announced to be produced by the new PTV was an adaptation of the 1984 police action comedy film Beverly Hills Cop (which was to have been co-produced with Sony Pictures Television), but it did not get past the development stage. Amy Powell was later announced as the new president of PTV on July 22, 2013. The first new PTV series to be produced following the company's revival was Minority Report (a co-production with Amblin Television and 20th Century Fox Television), which debuted on FOX on September 21, 2015. Other series now in production or in the works from PTV include School of Rock (based on the 2003 Jack Black comedy film), A Series of Unfortunate Events (based on the children's book series and the 2004 Jim Carrey movie Lemony Snicket's A Series of Unfortunate Events), Ashecliffe (a prequel to the 2010 film Shutter Island), Terminator: Project Skynet (part of the Terminator franchise), Jack Ryan (based on the book and movie character created by novelist Tom Clancy), Berlin Station and The Alienist (based on the 1994 crime novel by Caleb Carr). Paramount Domestic Television (PDT) was formed in 1982 as Paramount Domestic Television and Video Programming. It served as the successor-in-interest to previous distribution companies dating back to Desilu Sales, which was first formed in 1962 as the syndication arm of Desilu. Shortly after its acquisition by Gulf+Western in 1967, Desilu Sales merged with Paramount's original TV syndication unit, Paramount Television Enterprises, to form Paramount Television Sales, later renamed Paramount Television Domestic Distribution prior to the 1982 reorganization. When Viacom bought Paramount Communications in 1994, it folded its Viacom Enterprises distribution unit into PDT early in 1995, significantly increasing PDT's back catalogue as it picked up shows produced in-house by CBS (and its original syndicator CBS Films) along with the pre-1960 Desilu catalogue. The PDT library was further increased with Viacom's 1999 acquisitions of Rysher Entertainment's catalogue and Spelling Entertainment, giving it the archives of Spelling Television and Worldvision Enterprises (along with Worldvision's predecessors ABC Films, NBC Films, National Telefilm Associates and Republic Pictures Television). In 2004, PDT's international division, Paramount International Television, merged with CBS Broadcast International to form CBS Paramount International Television (CPIT). When CBS merged PTV (and PDT) with CBS Productions (and its CBS Enterprises distribution unit) to form CBS Paramount Television in 2006, the TV production unit became CBS Paramount Network Television (CPNT) while the syndication unit was renamed CBS Paramount Domestic Television (CPDT), though both units identified on-screen simply as CBS Paramount Television. On September 26, 2006, CBS announced that it would merge CPDT with King World to form CBS Television Distribution (CTD), whose on-screen logo debuted in syndication on August 20, 2007. The format for weekly produced shows is SSSSS-EEE, where S is a five digit show number and E is a three digit episode number. Daily produced shows is SE, where S is the variable letter show identifier and E is a variable sequential digit episode count. Only the episode portion is used on internal marketing material and feed slates. Note: All shows produced by Paramount Television and its predecessors prior to its 2006 merger with CBS Productions to form CBS Paramount Television are now owned or co-owned by CBS Studios. This page was last modified on 25 March 2019, at 19:18.